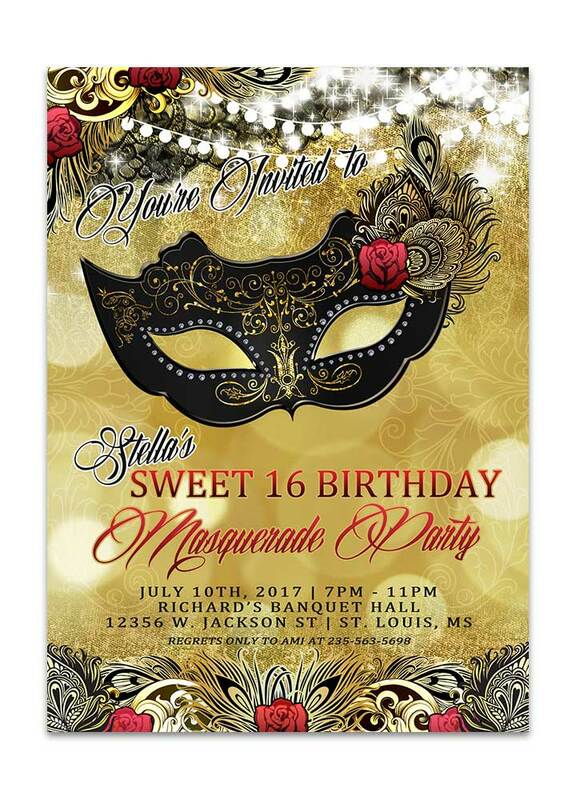 Invite your guests to an elegant evening with our Golden Masquerade Party Invitations. 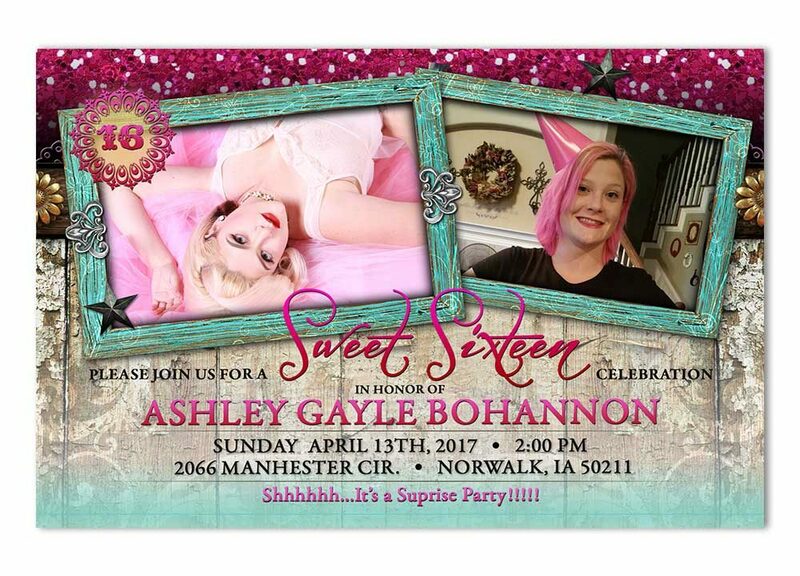 Mark this milestone in your son or daughter’s life with our rustic country glam photo sweet sixteen invitations. 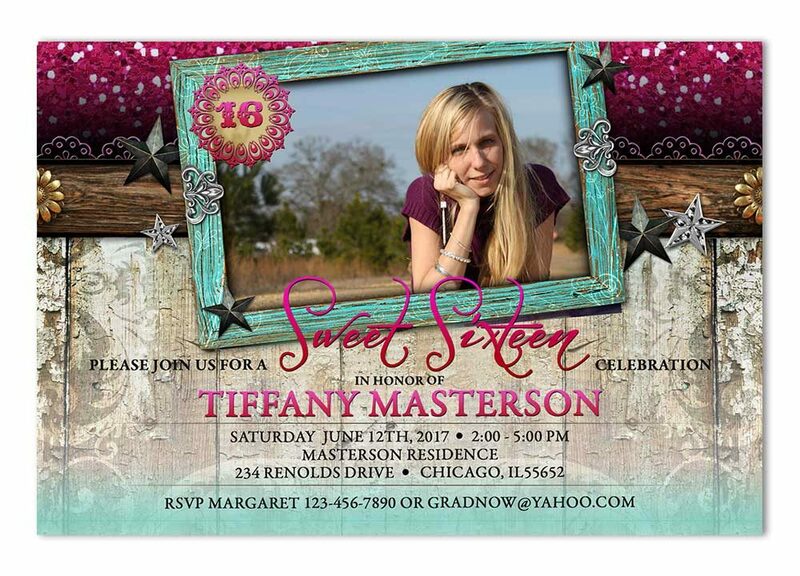 Choose our Rustic glam photo invites if you are looking for invites that are as special as your day!